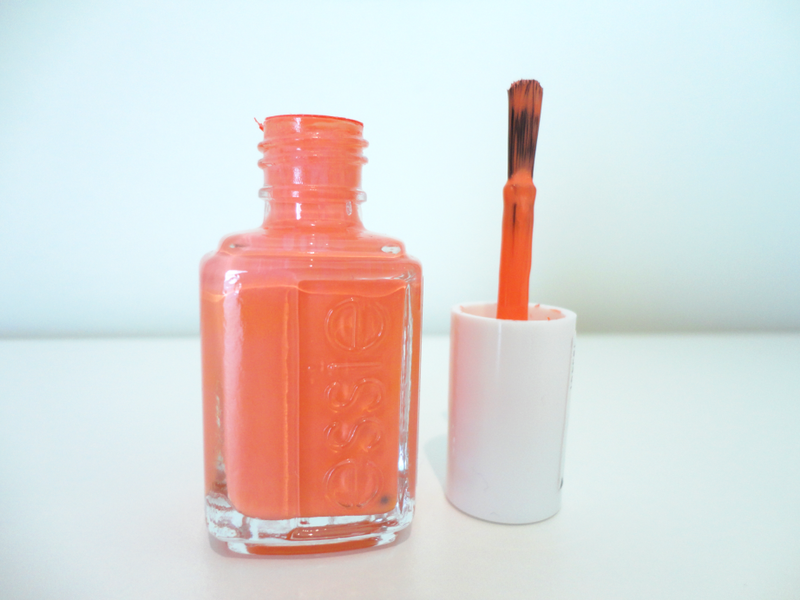 Guest Post // Peachy pink for summer: Essie Tart Deco! Hello loves! Hope you are all doing well! <3 Today we have a very special guest on the blog and it is the lovely Valérie form scribblesofvalerie.com! 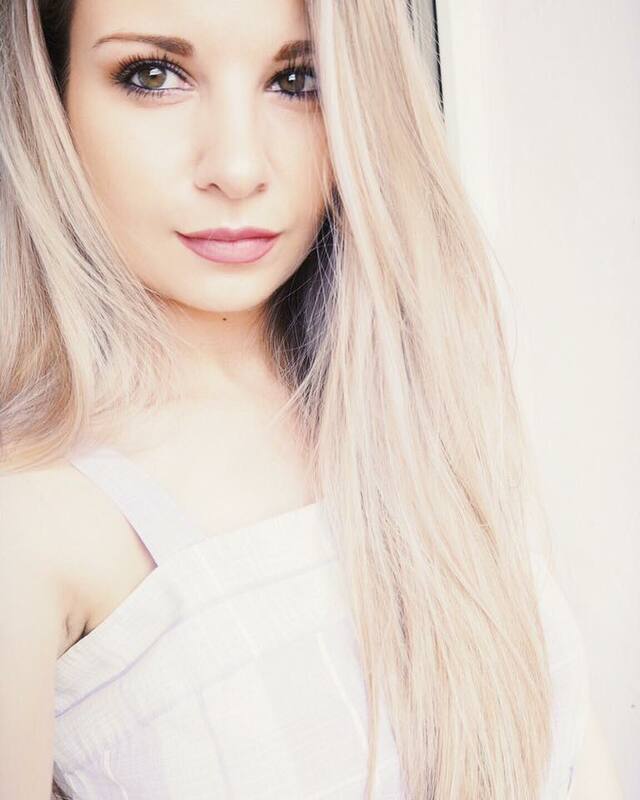 She is such a gorgeous girl and her blog is absolutely amazing and it’s definitely one of my favorites. If you haven’t already I urge you to go and check it out here and I’m sue you’ll love it as much as I do! :) Oh, and she also has a beautiful design shop and you can have a peek at it here. Hi everyone! My name is Valérie and I’m doing a guest post on Andrea’s blog today! I’m going to talk about one of the prettiest Essie nail polishes. I love pastels and bright shades of nail polish for spring and summer. 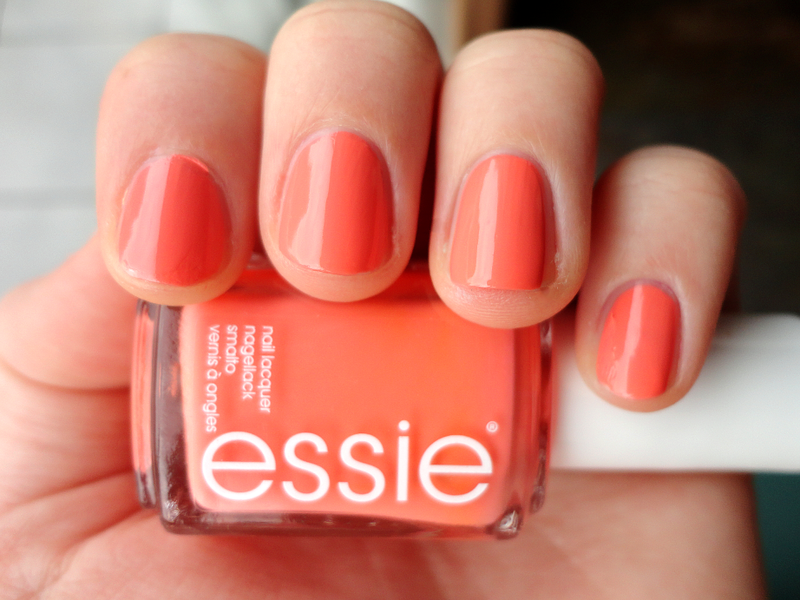 I’m obsessed with peachy colors but for some reason I couldn’t find the right one till I spotted Essie Tart Deco. I think it’s a gorgeous peach/salmon color, a soft orange, and therefore perfect for me because I love it! I haven’t seen it on other blogs, because I think most of the time people write about limited collection Essie nail polishes or classics such as Essie Fiji, Mint Candy Apple, etc. I don’t think it’s that popular (I might be wrong), although you can find it in the “classic” Essie nail polish section. Its consistency is creamy but not too thick! I mean that it definitely takes two coats to see its true color. The first coat is a little streaky, but the second makes up for that and leaves your nails looking perfect. The color turns out as a soft orange – I don’t know how to describe it otherwise, but it has definitely some pink in there too! As with most of these Essie nail polishes, I love the fact that it dries really fast. It’s such a bonus for an impatient person like me! You have to let the first coat dry thoroughly though, otherwise the nail polish might chip too easily. Concerning chipping: Essie Tart Deco lasts about 3-4 days, which I think is great! Now that summer time is finally here it’s also really pretty on toe nails, as you’re more likely to wear sandals. I think dark colors are sometimes a little bit too hard for toe nails, especially mine because I have a very pale skin tone and it’s like shocking when I apply a dark nail polish on my toes. Am I really talking about feet?! Anyway, believe me, it does look amazing on both feet and hands haha! I hope you enjoy this post! I also wanted to thank Andrea for having me on her blog – she’s seriously one of the best bloggers out there and she’s such a sweet person! Hey! Thanks for your comment! I really like your blog! Would you like to follow each other? Love Valerie's blog! This colour is gorgeous! That colour is lush, i love it! This si such a lovely colour! I may have to pick this up, I love it! I also have this colour I love it and did a watch here on my blog! this is one of my favorite nail polish for spring and summer! Love that colour, I happen to own it too! Love your blog, its so cool. Do you use a top coat, if so which one? Your nails look lovely like they've been done with a gel polish at the salon. What a gorgeous shade! I have been loving orange/peachy colours lately, they're amazing for summer! This is such a lovely shade. I've had it on my lust list for ages! I love Essie nailpolish! And this shade is really pretty! Love this colour! Perfect for summer. I'm the same - I'm really pale so dark colours don't seem to look right! What a fantastic guest post! I loved the review and the color is amazing! This is a very lovely colour, i love the bottle too! I'm a sucker for cute little items. I tagged you to do the "This or That" tag! Love this colour! Such a summer shade. Coral is my favourite colour this summer! I have a similar Nails Inc colour which I love. ohh I actually have this color and I love it!! Perfect for summer! oh what a great blog guest! i just completely felt in love with her blog, following now! this shade of polish is lovely! so perfect for summer! This is lovely! 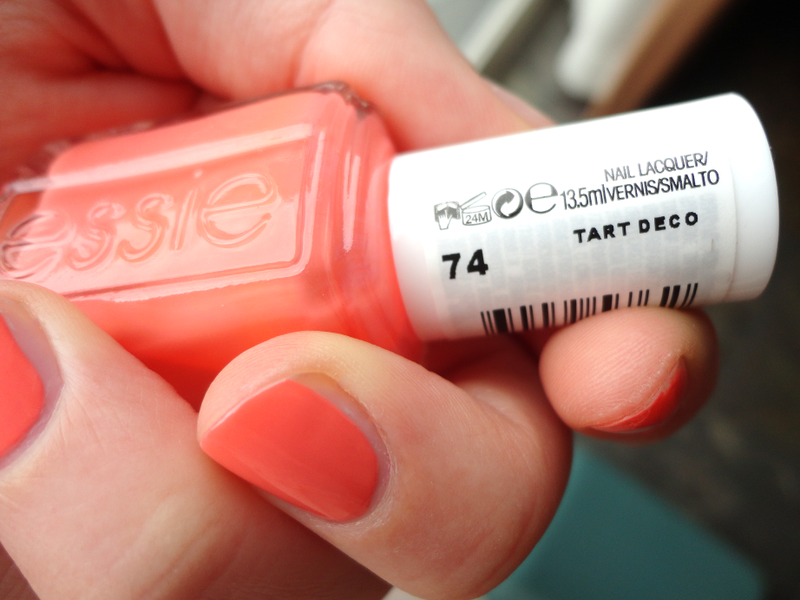 I'm on the hunt for new Essie nail polish for my holiday, this looks perfect! This is one of my favourite Essie polishes..it's so nice and such a good summer colour! :)so pretty! beautiful color! perfect for summer!